At the very epicentre of Florence, snuggling up to the East end of the vast Duomo, is a most attractive alternative to the city’s many luxury hotels. 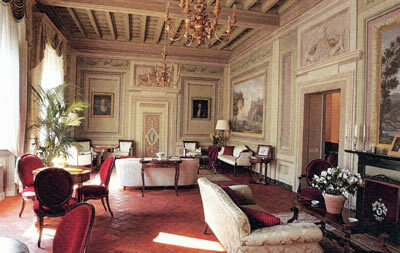 It is a fine palazzo, whose origins go back to the 14th century. On this spot the genius Donatello had his workshop. Later, an important banking family, the Naldinis, constructed the palace, which was eventually brought into the Niccolini family when Christina Naldini married the Marchese Eugenio Niccolini di Camugliano in 1879. 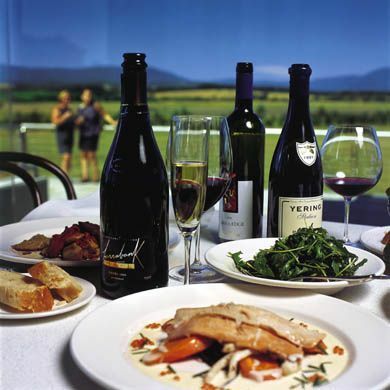 Today it offers its hospitality to paying guests, under the watchful eyes of Filippo and Ginevra Niccolini. The manner of entrance – through a gateway at the side, and up to the second floor in a small lift – does not prepare the weary traveller for the wonders within. 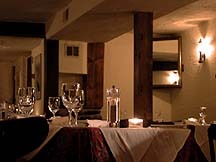 For the interiors are truly lovely, not least that of the communal sitting room (pictured), next to the entrance hall, where breakfast is served each morning and complimentary tea and cakes are put out each afternoon. My own room was number 9 (pictured). 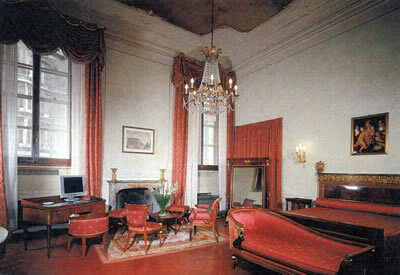 On the first floor, the piano nobile, this was a suite in the Imperial style, with lots of red and with as much space and grandeur as even this fan of space and grandeur could wish. Through a hall, with a wardrobe and a safe, was the majestic bed-sitting room, measuring about twenty feet by twenty feet. Not only did it have a marble fireplace, an eight-light chandelier, two high windows, a demi-lune chest of drawers and other antique furniture of high quality, but it also possessed what we all long for in our Florentine apartment: a frescoed ceiling. This was a proper fresco, too. Naked gentleman with snakes were being cast down by a lady archangel in armour, with God the Father observing from a distant cloud. It was soothing to have such a representation of the triumph of Good over Evil above me as I drifted into sleep each evening. 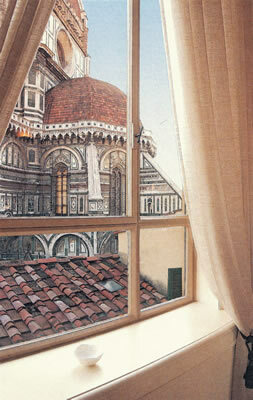 And things veered from the soothing to the startlingly surreal when, going to the bathroom in the middle of the night, I glanced up from the wash basin and saw through the window, towering above me, the illuminated marble of one of the greatest buildings of Western Christendom, Florence Cathedral. Were I given to such poetic references, I might say it was a moment when I experienced the Sublime. Of course – apart from this nocturnal revelation – the bathroom could not compete with the rest of apartment. But it did have its own chandelier, as well a free-standing bath tub, a separate shower, one wash basin and a bidet. I enjoyed my breakfasts at the palazzo. 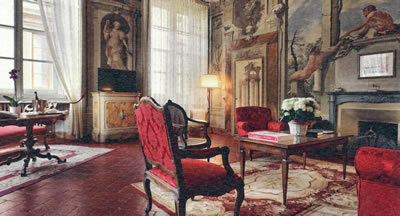 With just five tables and their red velvet chairs in the sitting room, the atmosphere was quiet and civilised. The napery was white, as was the porcelain. From the buffet I secured some lovely food – fruit salad with raisins and nuts, boiled eggs, crusty rolls, Parmesan, prosciutto, tomatoes, slices of chocolate cake and croissants. Thus fortified, I could stride outside and find myself in the very centre of one of the most admired cities in the world. 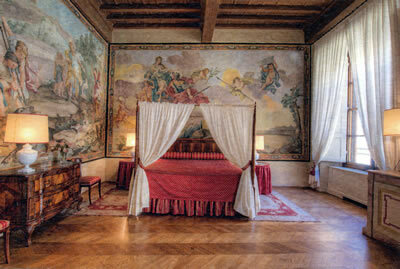 If you are looking for an alternative to the big luxury hotels in Florence, the Palazzo Niccolini al Duomo beckons. Via Dei Servi 2, 50122 Florence, Italy.